Need an engineer to solve a STEM-related design problem? The seventh-grade students at Harpeth Hall School are here to help! In science class, students apply content knowledge to projects modeled on real-life design problems using the engineering design process. Students are "hired" to design bridges to learn about physical forces, roller coaster rides, and trapeze shows to study energy and motion and to design toy prototypes for a focus on electricity and magnetism. What background information is needed? Students find relevant images using Britannica Image Quest, read articles in electronic databases such as World Book, watch BrainPOP or YouTube videos, and share initial impressions on a class Padlet wall. Teacher-led instruction facilitates more in-depth exploration of the content. Students ask questions and use Microsoft OneNote to take notes with a teacher-provided outline. Students may complete additional research using library resources and present information on a class VoiceThread. We used this step to create a famous-bridges slide show highlighting major bridge-design types. What are the criteria or constraints of this project? I typically outline the design constraints using a Microsoft Word document and share with students via the class Haiku page. The design criteria and constraints also act as a rubric, providing students a guideline for successful completion of the project. 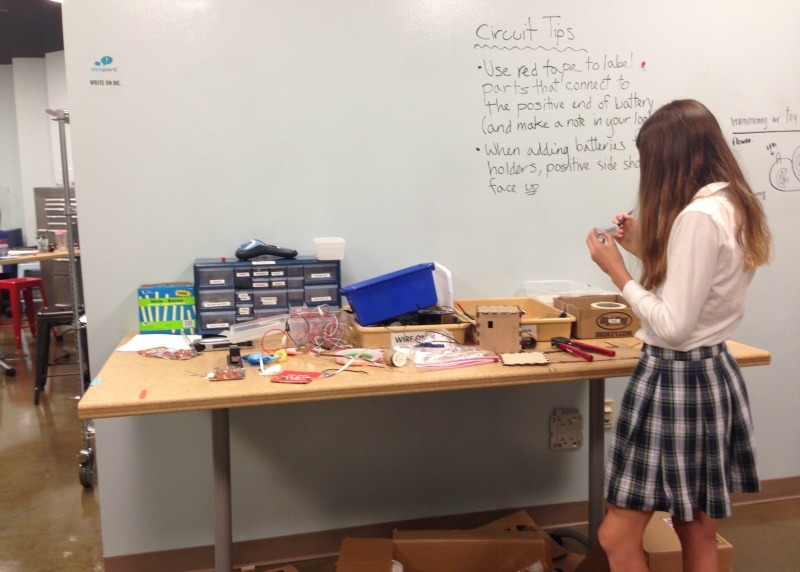 To model real-life design, students complete projects in groups or "design teams." Collaboration and communication are important skills for a successful project. During the brainstorming phase, groups create and share a Google Drive document so that all group members can contribute ideas. Students must decide which specific plan to move forward with -- hopefully having many options from the brainstorming step. Design and modeling can be low-tech, using paper and pencil, or high-tech, using design software. For the bridge-design project, individual students are required to submit both a sketch and a 3-D model created in SketchUp. Even though it's a group project, individual design submission ensures all students are learning the software. When designing toys, groups may submit a paper-and-pencil sketch or computer design using Microsoft Paint or Microsoft Publisher. Physical construction and testing may or may not occur based on classroom and resource constraints. Constructing roller coasters in the classroom isn't feasible, so instead students test designs using mathematical analysis and group discussion. With the bridge-design project, groups use glue and Popsicle sticks to build their models. Toy prototypes are created from batteries, various circuit components (LED lights, motors, switches, and so on), and recycled materials. The improve step is crucial for developing critical-thinking and analyzing skills. Iteration is a key component of the engineering design process, with the cycle often being repeated multiple times before completion. 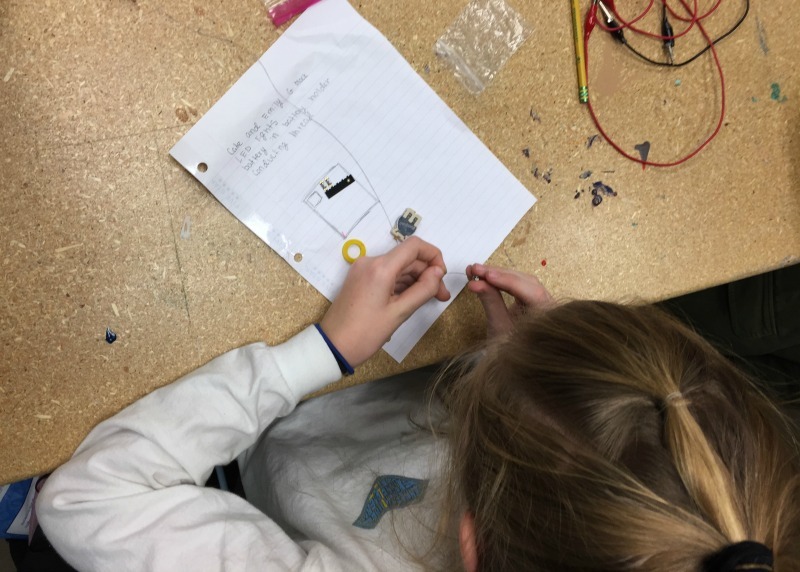 Within the constraints of a classroom, it's challenging to repeat steps due to time, but it's important to at least reflect on the engineering design process at the end of a project. Our students are required to give an individual report that answers reflection questions. These reports may be written using Microsoft Word, recorded using VoiceThread, or filmed using Windows Live MovieMaker. Groups also must present to the class, explaining their designs and discussing what went well and what needs to be improved upon. Using the engineering design process helps students connect classroom content with real-life STEM applications. Project-based learning requires collaboration, communication, critical thinking, iteration, problem solving, and so much more -- plus it makes learning fun! "Popsicle Stick Bridges" by Kari used under a CC BY-NC 2.0 license.